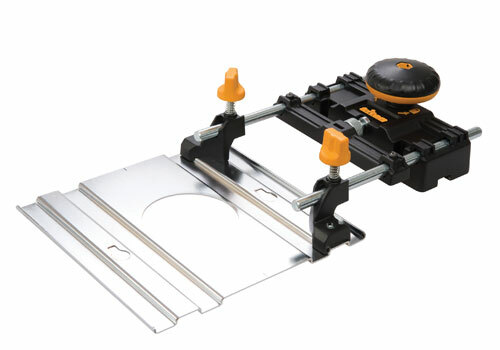 The TRTA001 Router Track Adaptor is a very simple way to create laser straight, rebate or dado cuts where a regular fence attachment or even a router table would struggle - across the middle of a large sheet or fixed surface, for example. The Router Track Adaptor features two-part micro and macro adjustability, allowing for precise router location on the workpiece. The locking mechanism ensures complete rigidity of the component during use.